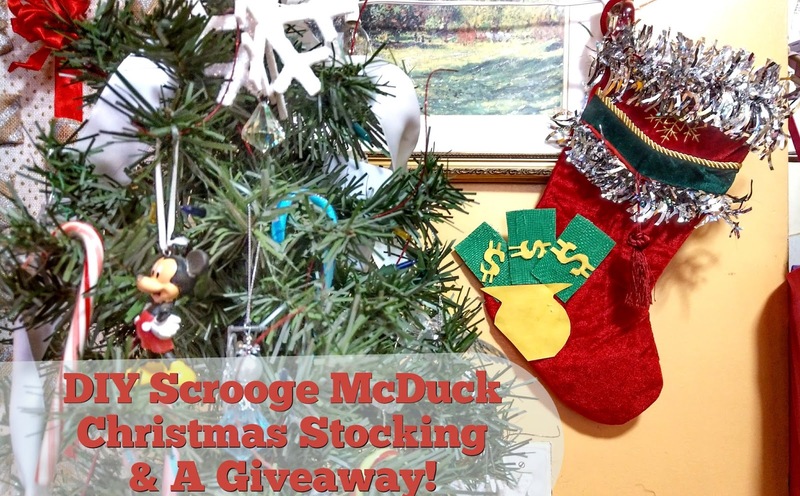 DIY Scrooge McDuck Stocking and Ducktales DVD Giveaway! During this holiday season the one question is, are you a Scrooge McDuck? I am a huge fan of DuckTales and when I heard about it coming back for the kids of this new generation I got really excited. Although Scrooge McDuck has a cold heart, it's nothing that Huey Dewey and Louie can't melt. In honor of the film, I am giving away (1) copy of the New Ducktales: WooHoo! DVD and also teaching you how to create a fun Scrooge McDuck Christmas stocking. 1) First thing is to create the Money that Scrooge loves. 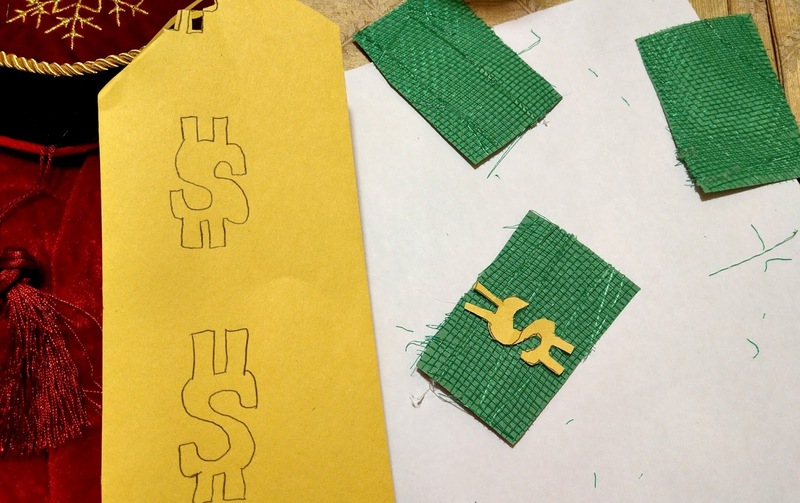 Grab your Mesh rolls and unroll it to lay flat on green construction paper. Glue it together using hot glue in a low setting. Once that is set, cut out short rectangles and place aside. 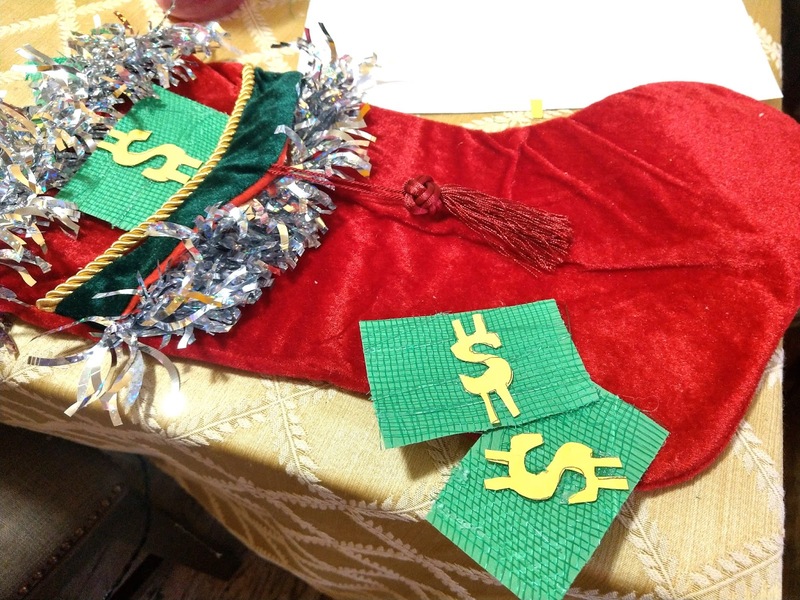 Draw out the Scrooge McDuck Dollar Signs on gold or yellow sheets and cut them out. 2) Once You've cut out and created your Dollar bills, place them aside. 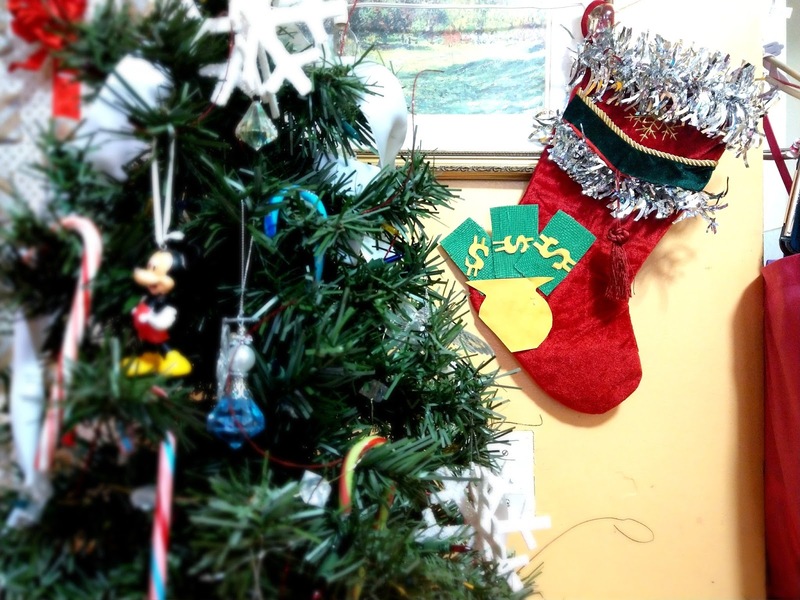 Grab your tinsel and decorate your Stocking. I added one piece to the top rim to represent Scrooge's feathers. 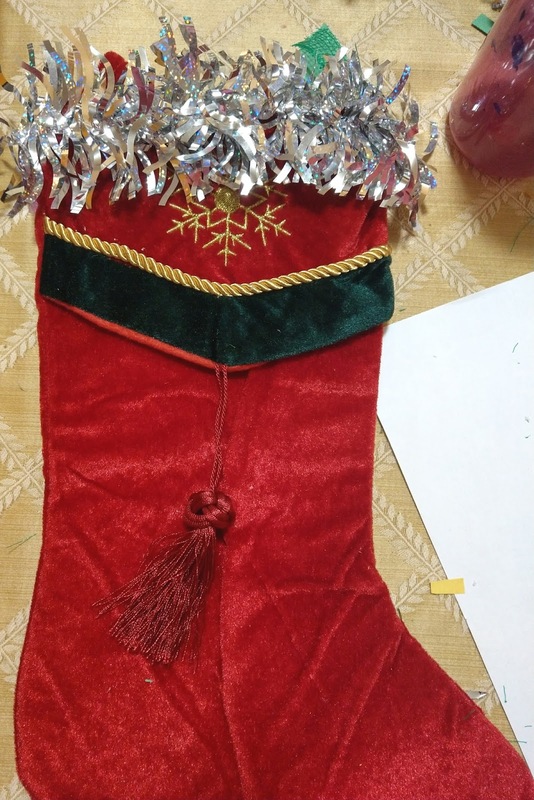 My stocking had an overlapping piece that looked like a banner so I added tinsel underneath it to make it look like Scrooge's feathers are peaking out from a too tight robe (insert giggles). 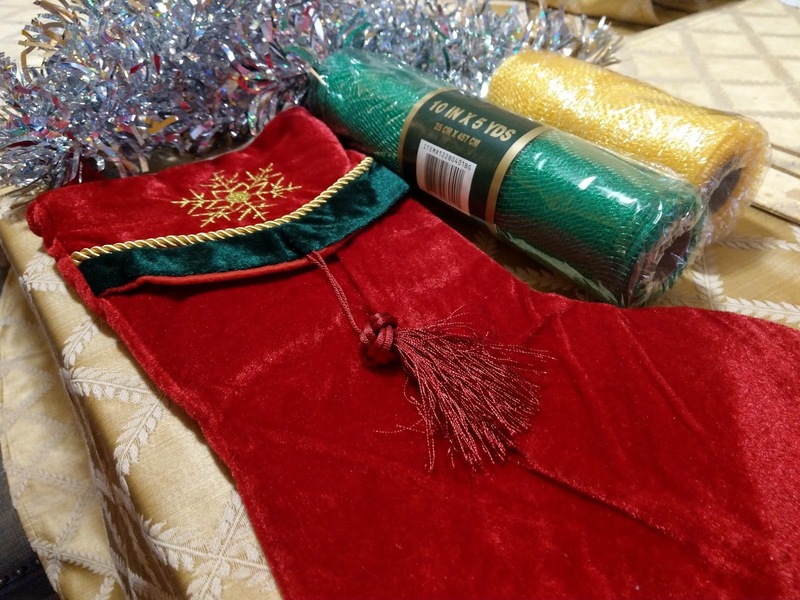 3) Once you add the tinsel, you are literally 90% done. Grab the same gold or yellow paper that you cut the dollar signs with and ut out a money bag. Arrange the bills how you want it and glue it down. I wanted the bills to look like they came out of the money bag, so I glued it on top. And I was done! Now we have a fun stocking to fill with the awesome Ducktales WooHoo! DVD. Now it's time to win... Just enter below.